For anyone who cares about the past, present, and future of Williams College, this video is a vital historical document of campus life in 2019. College Council’s decision to remove it from their Facebook page was, I assume, an unfortunate concession to student activist demands that all this stuff be kept under the table. I’m a current student who luckily saved a copy of the livestream from that meeting just before they took it down this weekend. The College Council has removed from its Facebook account a controversial video. 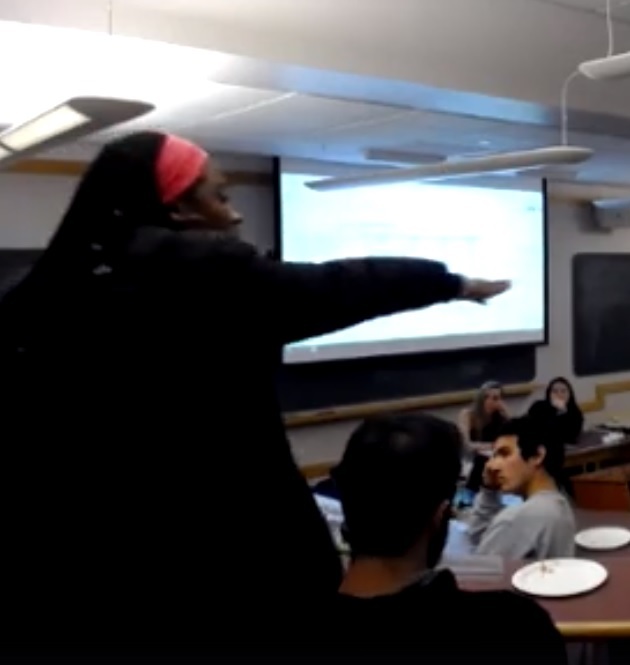 This video captured an example of profane, incendiary, anti-white bigotry directed at white student representatives by one of the most prominent black student leaders at Williams College on June 9, 2019. A link to the video was published on Ephblog on April 15, 2019. A partial transcript appeared at the Anonymous Political Scientist blog on that same day. Finally, The College Fix published a link to the video on April 19, 2019. The College Fix is a national-level conservative website where student journalists write on topics in higher education. NOTE: A heavily redacted transcript of the June 9, 2019 meeting is still available at 4_9 Minutes. According to the Williams Record, black student activists planned a demonstration to protest their treatment by the College Council. It was canceled, however, after links to the video rant were published at various on-line sites. For those who have not seen yet, The College Fix published an article the other day on the recent College Council meeting, which featured an, er, interesting exchange between fellow students. The article contains a partial transcript and link to the video feed from the meeting. We ought to frame this meeting in its larger context: Students requested money for a Black Previews event from CC. These students were questioned thoroughly about the nature of the event and the money requested. They were ultimately granted the money necessary. That is, these students went through the same process as all do when requesting money. I can’t imagine anyone would regard navigating the bureaucracy of College Council to request funds a particularly delightful experience. Many clubs have been the cause of the creation of subcommittees to monitor their funding, and many, too, have seen their budgets slashed. Let us disregard, then, the fact that Black Previews is an event that merits its own debate–these black activists were angry because they faced the same process as every other student does, and they responded with what can only be described as the verbal abuse of their classmates. There may be some very real problems with College Council, but to discuss these with the rhetoric of racism is irresponsible and exploitative: Irresponsible because it is a disservice to the real instances of institutional and intentional racism both on campus and beyond. Exploitative because it takes advantage of the social norms in place and the average student’s desire to be agreeable and, well, not racist. Any disagreement, any objection to this abusive diatribe would have immediately been deemed racist, and this was no subtlety in the rhetorical strategy of the two speakers. “You want to have free speech? You want to have a debate?” Isaiah says at one point. “You want to be racist? Say some s*** now.” They then correct themselves to say that their offer to respond was sincere, and when someone does respond to them–to express his remorse for their struggle–the activists proceed to liken the heads of their fellow students to a bunch of reproductive organs. Tough to respond when the person you’re talking to believes your speaking up (even if you’re on their side!) is also an indication of your being racist, and they respond with puerile (but perhaps still hurtful) insults. What is most lamentable about this whole debacle, however, is that the students not only accept this kind of attack, but dignify it. One student cites the “moving” nature of the speech as a reason to discuss it further. Another merely says he is glad the activists received their money after the quality of his eyesight is called into question (“Are you blind?!”). Another claims the CC bylaws are violent to people of color. Dignifying students like these grants power to this type of discourse. Students at Williams have a responsibility to preserve a respectful exchange of ideas among a student body that contains some of the brightest minds of our generation. As the political climate becomes dominated by tactics of intimidation and antagonism, we sacrifice perhaps the most noble quality of our campus: its ideological diversity and the exchange of those ideologies. It is a fascinating time of political discourse at Williams and similar institutions. Coming from a hometown that was plagued with conservative and religious dogma, I realize now the parallels between the radical left and evangelicals of the south. I do hope this is a short-lived fad rather than the beginning of a longer trend, though history would indicate otherwise. Tags: Evergreen State College, Fried Chicken, Hot Dogs, John Drew, Rory Walsh, The College Fix, Verbal Abuse, Why Aren't You Listening? 1) Your professors would know your name. The average Harvard undergraduate is known by name to only a few faculty members. Many students graduate unknown to any faculty. The typical professor at Harvard is primarily concerned with making important contributions to her field. The typical professor at Williams is primarily concerned with educating the undergraduates in her classes. Consider this post by Harvard professor Greg Mankiw, who taught EC 10a/10b, the equivalent of Williams ECON 110/120, to over 750 students each year. 3) You would have the chance to do many things at Williams. At Harvard it is extremely difficult to do more than one thing in a serious fashion. If you play a sport or write for The Crimson or sing in an a capella group at Harvard, you won’t be able to do too much of anything else. At Williams, it is common — even expected — that students will have a variety of non-academic interests that they pursue passionately. 6) The President of Williams, Maud Mandel, cares about your education specifically, not just about the education of Williams undergraduates in general. The President of Harvard, Larry Bacow, has bigger fish to fry. Don’t believe me? Just e-mail both of them. Tell them about your situation and concerns. See who responds and see what they say. ¹The first post in this series was 15 years ago, inspired by a newspaper story about 18 year-old Julia Sendor, who was admitted to both Harvard and Williams. Julia ended up choosing Williams (at least partly “because of the snowy mountains and maple syrup”), becoming a member of the class of 2008, winning a Udall Foundation Scholarship in Environmental Studies. Best part of that post is the congratulations from her proud JA. Tags: Why Aren't You Listening? Can we have a post on that crazy video that anon eph frosh posted? It needs multiple daily posts from David. I am serious. Video here. (Is there a way to embed this? Or at least make it accessible for readers who don’t use Facebook?) The action starts, apparently, at the 30 minute mark. Here (doc) is a (heavily?) edited transcript. Isaiah: I know that the funding for this has already been supported, but I am appalled by how this was handled. *many expletives* I’m looking at this budget and I’m seeing all the ways white men are getting resources and community afforded to them, and whenever black students come and try to make spaces for students on this campus, we are stopped at every. single. Level. Oluseyi: you, Tristan Whalen. Why aren’t you listening? Isaiah: now we are writing. Every time we start speaking, ears close. *many more expletives* You have half a million dollars. How many % of the budget is black previews? .42% Every time we start talking to you we get shouted down by the white moderate, white liberals. You come here, you have $3billion dollars to your name. Why is CC not diverse? Because if we dare try to run, try to be in this space… we have to be with people like you. I just don’t get it. We keep our heads down. Yeah, we got the money, but we are tired of this. I refuse –– no more. You want to have free speech, you want to be racist, open your mouth now. Since my fan club wants a series on this, a series is what you will be getting! Although probably not this week. What should the scandal controversy name be? “Black Previews”? Could our readers tell us who the dramatis personae are? How can faculty — even one professor — create significant change at Williams? Most of this advice applies to any topic, but, for concreteness, let’s assume a professor who is concerned about the decline of faculty governance at Williams and the rise of administrator numbers/power/salaries. First, educate yourself on the topic. The Provost’s Office produced this wonderful report (pdf) on college staffing. Read it more than once. See EphBlog’s 9 (!) part series of faculty governance: 1, 2, 3, 4, 5, 6, 7, 8 and 9. Talk to some retired faculty members (e.g., Frank Oakley) about how the College used to be run. If you want to change policy about topic X, then you need to be as well-informed about X as anyone at Williams. One tidbit on the history of faculty governance: Just 25 years ago, there were two assistant provosts, both members of the faculty. They assisted the provost in all her duties. (One of those assistants was Morty Schapiro!) There is no reason why the faculty could not be much more powerful than they are, no reason why Williams could not revert back to arrangements of that era. Second, schedule an appointment with Maud Mandel. She is still (I hope!) eager to chat with faculty. The goal for this meeting is not to harangue her with your views. Instead, find out what she thinks! Is she concerned with the growth of administrative power? Did she witness similar trends at Brown? What does she think the correct ratio is of faculty to administrator hiring? And so on. At some point, ask her: “Interesting point, Maud! Would you mind if I followed up with Dukes Love and his folks in the Provost’s Office to gather more information?” She will probably encourage you to do so. And getting that permission/encourage was your goal from this meeting. Third, meet with Dukes Love or Chris Winters ’95 or someone else in the Provost’s Office, ideally whoever was the lead person on the Staffing Report. Again, your goal is not to bore them with your views. Be realistic! They don’t really care what you think. You are just one of the 250+ faculty members they have to deal with. Instead, your goal is to get access to their data on staffing, or at least as much of it as they will share. It is one thing to read their report. It is another to have a copy of their Excel spreadsheets, to be able to work with the raw data that they work with. The rules are such that they can’t share with you the salaries of individuals, obviously, but they can share anything else. And since you seem so reasonable — and since Maud Mandel encouraged your efforts, as you casually mentioned to them — they might be quite accommodating. Data is power and, the more you have, the more likely to are to accomplish something. Four, write a 5 page report, expressing your concerns. Your goal is not to bombard readers with your views, much less with your proposed solutions. Instead, you are highlighting key facts. Of the 20 highest paid people at Williams, 18 used to be faculty, now only 10 are. The ratio of spending on faculty versus administrator salaries used to be 5:1 now it is only 2:1. There used to be 7 faculty for every administrator, and now there are only 3. Much of this information is already in the staffing report, but much is not. (And the staffing report pulls a few fast ones as well. Should I spend a week going through it?) The goal of the report is to highlight that things have changed dramatically in the last 20 years and that this topic merits further exploration. Five, gather faculty support. Most faculty agree with you that the Administration has grown too big and too powerful. Show them your report. Get their feedback. Ask them if they would be willing to join you in working on this problem. Present the report to various committees, perhaps all the way up to a full faculty meeting. Key at this stage is to identify your core supporters, the 5 (10? 30?) faculty members who are willing to work hard on this topic, even if it means going against the College Administration. Six, start thinking about goals. What, precisely, do you want to accomplish? What policy change would make Williams better off 10 or 50 years from now? This is not about an individual administrator or even a class of positions. My recommendation is that you want a non-faculty net-hiring pause of 10 years. You certainly don’t want anyone to be fired. Current Williams administrators are, overwhelmingly, good people, working hard to make the College better. You just want to bring Williams back “in balance,” to where it was 20 years ago. Since many people leave the College each year, the Administration would still have a great deal of flexibility in terms of shifting resources around. But, right now, Williams has 200 (?) administrators. That is enough. Other plausible policy changes include a (more draconian) hiring freeze which would, over time, decrease the administrative bloat at Williams, or a freeze on total spending on administrators. Seven, lobby to create a committee. Major changes at Williams come via two mechanisms — presidential fiat (Falk’s alignment) or major committees (the end of fraternities, the decrease in admission preferences for athletes, neighborhood housing). You want President Mandel to form a committee — preferably faculty only, but maybe to also include students and alumni — charged with examining administration growth at Williams. You would not presume to demand that this committee come to a specific conclusion. Instead, your only point is that there are few more important issues to Williams over the next 100 years than the role of faculty in college governance. Therefore, we need a committee to examine this topic. Eight, keep Mandel/Love/Buell informed as you proceed. Perhaps one or more of them might be an ally! You never know. At the very least, keeping them informed is probably politically wise since only they can create the committee. You just want to maneuver them into situation in which, from their point of view, giving you your committee is the best option. That is enough for today! More advice available, as requested. Why are some Ephs allowed to send e-mails to the entire Williams student body and other are not? This February we joined as a campus to March for the Damned. We showed our love for each other and brought attention to the ways in which our campus community needs to support minoritized members of this community- staff, faculty, and students. Many of the demands which have been circulating recently (including, but not limited to, affinity housing, increased accountability of CSS, improved sexual assault prevention and response, and increased support for faculty of color and queer and trans* faculty) have either been ignored or sent to committees to stagnate. These are largely the same demands students have been making for decade. Today, the Williams trustees are having a full board meeting on campus to approve fiscal budgets for 2019-20. We have called on them to respond to a list of twelve concrete objectives by April 17th. We invite the whole Williams community to join us to build a community of love and compel the trustees to support us in this mission by responding to our asks. These are not the extent of our demands but are the ones most relevant to the role of Trustees. We are the Coalition Against Racist Education Now (CARE Now), an active and growing collective of student activists born out of resistance to the 2018 faculty petition on free speech. We garnered over 300 student and alumni signatures in protest of predatory and hate speech. We organized a 200-strong March for the Damned on February 25th after the departures of Professors Kai Green and Kimberly Love due to the violent practices of the College. We hold the truth of discursive and institutional violence to be self-evident. This year alone, there has been a mass exodus of faculty of color. Many junior faculty of color are considering medical leave due to the unmitigating stress of living in an unsupportive and callous environment; staff are similarly unsupported by the institution with a lack of growth opportunities or access to basic living necessities; and too many students are admitted to the Jones 2 Psychiatric Ward each year. “We understand that improving the professional quality of life for staff and faculty of color, and thus the institutional culture at large, would only improve the experience of Williams students. We have witnessed how departures of staff and faculty of color or their absence in particular fields/sectors impact negatively upon the lives of students—both students of color and white students who turn to staff and faculty members of color for curricular and/or extracurricular support. This negative impact ranges from the disruption/suspension of research projects to an increased sense of isolation. We, therefore, hold that a sizable and long‐term community of staff and faculty of color is vital to the studies and lives of students across the College” (Faculty-Staff Initiative, 2009). We remind the Trustees of their obligation to the well-being and safety of its students, faculty, and staff. The present moment demonstrates a managerial and fiduciary failure to provide a safe, respectful, and livable school community. The Trustees must respond thoroughly and with haste to this failure with tangible, monetary investment. 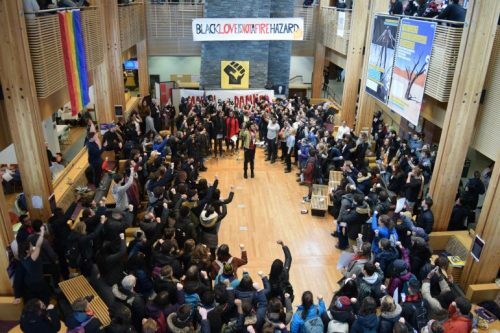 A complete process of reparation and reconciliation to Indigenous peoples including the increased hiring and admittance of Indigenous faculty, staff, and students as well as the reallocation of property back to the nations impacted by the College’s active participation in settler-colonialism. Approve the request for $34,000 additional funding to the Office of Institutional Diversity and Equity in full for the purpose of supporting student-led Heritage Month events, as well as the increase of $15,000 additional funding for incoming Minority Coalition groups. Commit to improving community spaces by establishing affinity housing for Black students (and all other marginalized groups), ensuring all college buildings be in compliance with ADA guidelines, and fully renovating the Davis Center buildings. Fund permanent networks of support for faculty of color, such as weekend faculty-staff shuttles to New York and Boston, a community space of gathering, and additional housing resources. Immediately approve and fund the two requested hiring lines for Asian American Studies. Additionally, immediately use opportunity hires to fill critical gaps left by departing faculty of color. Recognize that the Davis Center is currently operating with only two full-time underpaid and overworked staff members. As such, immediately hire sufficient staff members to ensure the efficient operation of the Davis Center. Hire additional therapists, with a focus on trans therapists and therapists of color. Increase hiring and pay for staff at the Office of Accessible Education and streamline support for students, staff, and faculty who take medical leave and/or time off. Fund a thorough external independent investigation into the practices and interactions CSS has with students, namely minority students. Increase diversity and pay for staff in Dining Services and Facilities. Hire an independent advocate specialized in survivor support, effectively removing the no-contact order (NCOs) investigation responsibilities from Dean Marlene Sandstrom. Hire three more Title IX coordinators who will meet the demonstrated needs of survivors. If CARE Now is serious about trying to change Williams, they should follow this advice. New York Times opinion columnist David Leonhardt linked to EphBlog in his column a few weeks ago about the enfolding admissions bribery scandal. Thanks! Alas, Leonhardt is one of the more clueless education reporters, a not particularly clued-in breed, as we have documented again and again and again. Is a link from him something to be proud of? Either way, his article merits 10 days of discussion. Day 9. “Recruited athletes not only enter selective colleges with weaker academic records than their classmates as a whole but that, once in college, they ‘consistently underperform academically even after we control for standardized test scores and other variables,’” Edward Fiske wrote in a 2001 book review for The Times. It could be that Williams was a different sort of school than the others used in “The Game of Life: College Sports and Educational Values,” the book reviewed by Fiske in the Times. I think it more likely that authors Shulman and Bowen just did sloppy empirical work. But, wouldn’t you know it, we now know more than we did 20 years ago! Consider this 2009 Report (pdf). We find that the gap in academic performance, as judged by grade point average, has narrowed substantially overall and has essentially disappeared for female athletes and for male athletes in low-profile sports. The gap for male athletes in high-profile varsity sports (which we defined as football,ice hockey, basketball, and baseball; other studies include different sports, such as wrestling and lacrosse) appears to be narrowing, but persists even after we adjust for 1) academic qualifications prior to enrolling at Williams College, 2) socio-economic status, and 3) the individual’s year (e.g.sophomore, senior). Thus academic under-performance by male varsity athletes in high-profile sports continues, and cannot be attributed to academic credentials prior to Williams or to socioeconomic status. The narrowing of the overall academic performance gap since 2002 could be due to any of number of factors (perhaps including changes in team culture during the past decade) but one likely factor is the change in admissions standards for athletic “tips”. 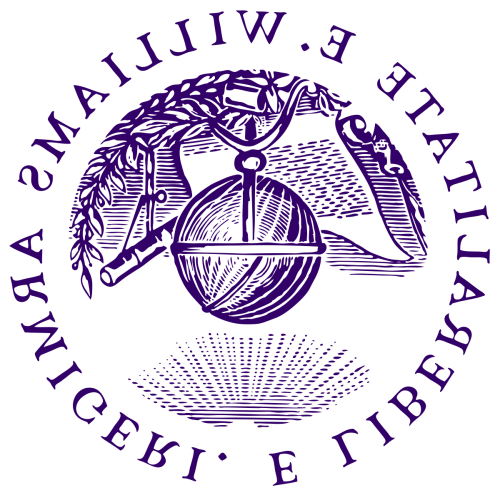 The minimum qualifications required for admission to Williams have been raised during the intervening years, and are continuing to rise.Thus varsity athletes’ academic preparation for Williams College is increasingly similar to that of the rest of the student body. Our data indicate that academic under-performance by male varsity athletes playing high-profile sports can largely be attributed to those who are less well-prepared academically for Williams, and thus it is our sense that the “raising of the floor” for admissions tips may have been an important factor in reducing overall difference in the GPAs of varsity athletes and non-athletes. Again, there are a lot of subtleties and we would all like more recent data. And it could be that Williams is different than other schools. But for Leonhardt and others to continue to pretend that athletes in general are some weird outlier group on campus, academically disconnected from their peers, is just nonsense. Might there have been, and still be, issues with the football team and men’s ice hockey? Sure! Yet those are precisely the high profile sports which were not involved in the current scandal. New York Times opinion columnist David Leonhardt linked to EphBlog in his column a few weeks ago about the enfolding admissions bribery scandal. Thanks! Alas, Leonhardt is one of the more clueless education reporters, a not particularly clued-in breed, as we have documented again and again and again. Is a link from him something to be proud of? Either way, his article merits 10 days of discussion. Day 8. It has taken 8 days, but we have finally come around to EphBlog! At some colleges, like Williams, nearly one-fifth of first-year students are recruited athletes, EphBlog explains. 1) Thanks for the link! But who should we really thank? I doubt that Leonhardt reads EphBlog or remembered this post. It was more likely turned up via a Google search. But by whom? 2) The link is, sadly, not the best that could have been used. First, this is an annual post on How Admissions Work at Williams, and the latest version is always best. Second, the topic here is athletic admissions, covered in much more detail in this post. 4) Also misleading is “nearly one-fifth.” Williams probably has a lower percentage than most other NESCAC schools, mainly because we have a somewhat larger student body. That is, in most of NESCAC, the percentage is higher than 20%. 5) Note the correction that Leonhardt added to the column. An earlier version of this newsletter misstated the share of students at Williams College who are recruited athletes. It is about 30 percent, not nearly one in five. This is just nonsense. Leonhardt has apparently decided that, since 30% of Williams students play inter-collegiate sports, every single one of them must be a recruited athlete. That is a fantasy. The Gell-Mann amnesia effect describes the phenomenon of an expert believing news articles on topics outside of their field of expertise even after acknowledging that articles written in the same publication that are within the expert’s field of expertise are error-ridden and full of misunderstanding. Why should I believe Leonhardt when he talks about the US budget when he can’t even describe the admissions process at Williams accurately? But a NYT link is still much appreciated! New York Times opinion columnist David Leonhardt linked to EphBlog in his column a few weeks ago about the enfolding admissions bribery scandal. Thanks! Alas, Leonhardt is one of the more clueless education reporters, a not particularly clued-in breed, as we have documented again and again and again. Is a link from him something to be proud of? Either way, his article merits 10 days of discussion. Day 1. I’m a sports fan and long-ago high school athlete. I have a lot of admiration for students who are talented enough and work hard enough to play sports in college. But they are not a different species. It’s time to end the extreme special treatment that colleges give to so many of them. College sports can still exist without it. EphBlog agrees. The place to start is with increased transparency, as we have discussed before. Leonhardt wants to decrease the admissions advantages for athletes. The first step in that politically-fraught process is greater transparency about exactly what the admissions advantage is, and its effect on subsequent academic performance. New York Times opinion columnist David Leonhardt linked to EphBlog in his column a few weeks ago about the enfolding admissions bribery scandal. Thanks! Alas, Leonhardt is one of the more clueless education reporters, a not particularly clued-in breed, as we have documented again and again and again. Is a link from him something to be proud of? Either way, his article merits 10 days of discussion. Day 6. “Athletic recruiting is the biggest form of affirmative action in American higher education, even at schools such as ours,” as Philip Smith [’58], a former dean of admissions at Williams College, has said. It’s a relic of the supposedly character-defining role that sports played in elite colleges a century ago. In fact, this quote is from 18 years ago. Leonhardt wants you to think that he is performing the ancient and time-honored craft of “reporting” when, in truth, he is just slapping things together in order to fit a pre-arranged narrative. EphBlog does that all day long, but at least we are honest about it! The good news here is that I am glad that Phil Smith is no longer (one hopes!) talking to New York Times reporters. Anyone who took showers in the men’s locker room during the 1980s knows that there are certain parts of Williams history that are best left unexamined in this MeToo era . . .
On April 3rd, the Society for Conservative Thought hosted “Considering the Case for Campus Free Expression.” In light of recent campus and national discourse concerning the roles of free expression and open intellectual inquiry in liberal education, this event provided students the opportunity to listen, learn, and voice their perspectives on these vital matters. More than 70 students, faculty, administrators, and local community members attended. Guest speaker Nico Perrino (pictured left), is Director of Communications at the Foundation for Individual Rights in Education. He is the creator and host of “So to Speak: The Free Speech Podcast”, and his writing has been published in USA Today, Politico, and The Guardian. He regularly travels across the country to speak about the rights of students and faculty on college campuses. Professor Luana Maroja (pictured right) is Associate Professor of Biology and Chair of the Biochemistry Program at Williams. She has advocated in online and campus publications for the free exchange of ideas on college campuses. Professor Steven Gerrard (pictured center) is Professor of Philosophy at Williams. He has offered classes on both free speech and related controversies on college campuses. After introductions, Professor Maroja and Mr. Perrino gave opening remarks in support of campus free expression. Professor Gerrard then led a discussion panel that led to further interrogation and articulation of these ideas. The floor was then opened for an interactive Q&A session between audience members and the speakers. The Society is deeply grateful for the support of the Class of 1971 Public Affairs Forum, and the Department of Political Science. Thanks to our sponsors, 12 Society members were able to dine with the speakers prior to the event. Learn more about the Williams College Society for Conservative Thought by visiting our website. New York Times opinion columnist David Leonhardt linked to EphBlog in his column a few weeks ago about the enfolding admissions bribery scandal. Thanks! Alas, Leonhardt is one of the more clueless education reporters, a not particularly clued-in breed, as we have documented again and again and again. Is a link from him something to be proud of? Either way, his article merits 10 days of discussion. Day 5. I thought of that study yesterday, after the Justice Department announced it had indicted 50 people for trying to rig the admissions process. The alleged scam involved payments funneled from parents to college coaches, who in return would falsely identify applicants as athletic recruits to the admissions office. Just like that, the students then become virtual shoo-ins for acceptance. If the accusations are true, they’re outrageous. I admit that I was shocked to see this happening at Yale. (The coach at issue is married to the Wesleyan head women’s soccer coach.) But why is this “outrageous” when, every single year, families write million dollar checks to Williams (and Yale and Harvard) to get their children accepted? Leonhardt expresses no outrage about that common practice. But they also highlight a larger problem that has somehow become acceptable: A scam like this could exist only because competitive sports occupy a ridiculously large place in the admissions process. Second, how does Leonhardt know that other parts of the admissions process don’t have similar scams? Sports matter in admissions, no doubt, but so does race. Is Leonhardt certain that there are no similar racial scams yet to come to light? The situation is different for other extracurricular activities. Great musicians are more likely to be admitted to a college than similar students who don’t play an instrument — as is only fair, because musicians deserve credit for their accomplishments. Uhh, no they are not, or at least not in anything other than trivial numbers. Richard Nesbitt explained this to us 15 years ago. As for the comparison with music, here’s a reality check: We are able to admit roughly 120 top rated musicians each year from the top of the academic reader rating scale–what we refer to as academic 1′ and 2’s (broadly defined as 1500+ SAT’s and very top of the class). In other words, even if you only used academic standards, you would gets tons of great musicians. And that means that being a great musician does not matter much. But the musicians don’t generally receive a 30-percentage-point boost on their admissions chances. Stage managers for the high school theater don’t, either. Nor do student body presidents, debaters, yearbook editors or robotics competitors. Athletes do. Their extracurricular activities are not treated merely as an important part of a college application, but as a defining part. True. If you are on the coach’s list, you are in — subject to meeting certain minimum academic standards, which the coach knows about ahead of and, so, would not put you on her list if you did not meet them. If you are not on the list, you are rejected. But race, for 100+ students at Yale each year, also serves as the “defining part” of their application. If they did not check that box, they would be rejected. I can’t figure out if Leonhardt is too ill-informed to know that all his complaints about athletics also apply to race or if he knows and is too cowardly to report the truth. Which would be worse? New York Times opinion columnist David Leonhardt linked to EphBlog in his column a few weeks ago about the enfolding admissions bribery scandal. Thanks! Alas, Leonhardt is one of the more clueless education reporters, a not particularly clued-in breed, as we have documented again and again and again. Is a link from him something to be proud of? Either way, his article merits 10 days of discussion. Day 4. With the last three days of discussion as background, we can now go through the article line-by-line. Getting a peek inside the college-admissions process isn’t easy. What nonsense! There are a dozen or more excellent books on the college admissions process. (EphBlog recommends The Gatekeepers and A is for Admission.) We provide a detailed summary of how admissions works at Williams, updated each year for your convenience. There are scores of academic articles. But a team of academic researchers managed to do so several years ago. Leonhardt is such a hack! What does the word “several” imply to you, dear reader? Three? Six? Eight? Try 14! And that is just when the book was published. The underlying information is from the (impressive!) College and Beyond database, constructed in the mid 1990s. Leonhardt uses the phrase “several years ago” to describe a study conducted with data more than 20 years old! It helped, no doubt, that two of the researchers were former college presidents — William Bowen of Princeton and Eugene Tobin of Hamilton. Bowen has made a nice post-presidencies career of writing books with suspect empirics and minimal replicability. Nice work if you can get it. Much of this was probably true in the 1990s. But Leonhardt is passing it off as being true today when, on many dimensions, things are vastly different. First, legacy advantage matters much less today than it did in the 1990s, for reasons that we have explored ad nauseum. Second, there has been a big push in favor of low-income students. Third, note how Leonhardt pretends that legacies and URMs both received “substantial boosts,” when, in fact, the boost for URMs was much bigger in the 90s than that for legacies, and that is even more so today. The average legacy at Williams has a higher SAT than the average non-legacy. 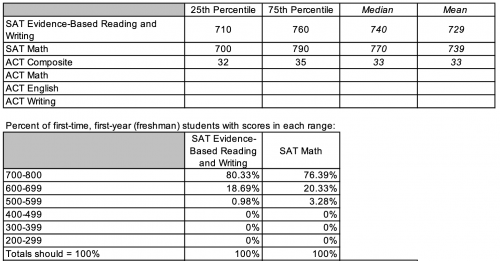 The average African-American at Williams has an SAT score 200+ points lower than the average non-African-American student. These two things are not comparable! But the biggest boost went to recruited athletes: An athlete was about 30 percentage points more likely to be admitted than a nonathlete with the same academic record. I realize that the academic research uses terminology like this, but it no longer captures how admissions works, to the extent it ever did. Assume that Williams has a 20% admissions rate. The only way for that “30 percentage points more” formulation to make sense is if someone (who?) puts together 200 athletes that they (who?) want to come to Williams. This list of 200 goes to Admissions, and 100 are accepted. This 50% acceptance rate is, indeed, 30% more than the 20% baseline, but the theoretical process which allows that statement to make sense is not how Williams (or Yale) athletic admissions work. This is how they work. Summary: If you are on the coach’s list, you are (almost) 100% going to get in. Any statistical model which does not account for that process will produce nonsense numbers. New York Times opinion columnist David Leonhardt linked to EphBlog in his column a few weeks ago about the enfolding admissions bribery scandal. Thanks! Alas, Leonhardt is one of the more clueless education reporters, a not particularly clued-in breed, as we have documented again and again and again. Is a link from him something to be proud of? Either way, his article merits 10 days of discussion. Day 3. It’s time to end the extreme special treatment that colleges give to so many of them. College sports can still exist without it. The bottom 20% of the Williams class, about 100 students, is overwhelming composed of three groups: recruited athletes, Blacks/Hispanics, and low income. (To be honest, I am not sure how large that last group is and, certainly, there is a great deal of overlap among racial minorities and low income students.) What would happen if Leonhardt’s proposal were instituted at Williams, if recruited athletes got no more of an advantage in admissions than great violin players? 1) The bottom of the Williams class would become dominated by racial minorities, in a way which made the magnitude of the preferences they receive obvious to everyone. Athletes, who are overwhelming white, now add a highly desirable degree of racial diversity to the set of students who struggle academically at Williams. Look at the students on academic probation, the bottom 5 students in a given introductory course, students with GPAs below 3.0, today, you will see white/brown/black (and a handful of Asian) students. And that is a pretty desirable state of affairs. 2) The gap between the average academic performance of black/Hispanic students and white/Asian students would increase. With athletic preferences, the average white/Asian academic credentials (high school grades and test scores) and Williams performance (GPA, thesis honors) is X above the average credentials/performance for black/Hispanic students. If we get rid of athletic preferences, X gets (much?) larger because we replace all the 1350 athletes with 1450 athletes. Since there are 100 recruited athletes, only a few of whom are black/Hispanic, this will have a big impact on X.
Leonhardt is correct that we can still have college athletics with much smaller athletic preferences in admissions, especially if all the schools in a given league (e.g., NESCAC, Ivy) change their policies at the same time. But he has failed to confront the implications for that change in the racial variation in academic credentials/performance. Does David Leonhardt really want a Yale at which 90% of the students in the bottom of the class academically are black/Hispanic? If he does, then fine! But he ought to explain to his readers that this would be the inevitable result of significantly decreasing the preferences given to athletes. The problem with folks like Leonhardt is that they have failed to think clearly about what sort of admissions system they favor in place of the current system of holistic admissions. Let’s help them over the first three days of this series before diving into the confusions of the article itself. The problem with this system is that, under it, only 1% or so of Yale would be African-American. Would that be OK with Leonhardt? Would it be OK with Yale President Peter Salovey? Would it be OK with the Yale faculty? Of course not! The faculty would go insane, just for starters. 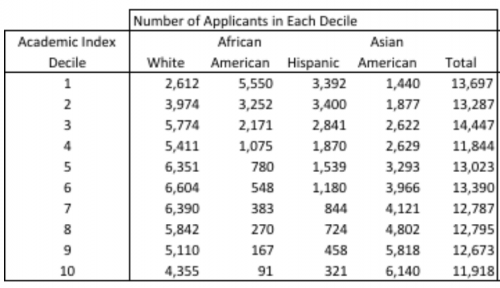 The ratio of Asian-American to African-American students in the 10th (best) academic decile is almost 70 to 1. The current situation at places like Williams is even worse because (almost?) all the African-Americans with Williams-caliber academic credentials are enrolled at Harvard/Yale/Princeton. Leonhardt has never, that I have seen, mentioned this inconvenient truth. Is he so ignorant as to be unaware of it? If not, then why not explain reality to the readers of the New York Times? Isn’t that, you know, his job? Saying that such a dialogue was essential to the college’s academic mission, Williams College president Maud Mandel confirmed Monday that the school encourages a lively exchange of one idea. 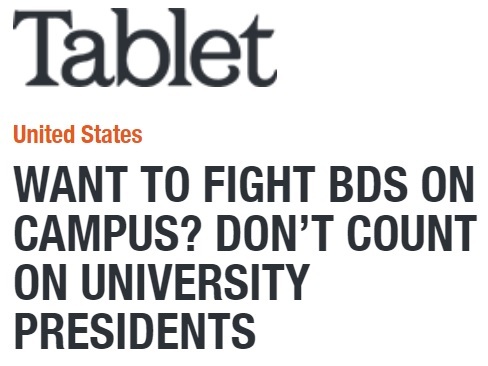 “As an institution of higher learning, we recognize that it’s inevitable that certain contentious topics will come up from time to time, and when they do, we want to create an atmosphere where both students and faculty feel comfortable voicing a single homogeneous opinion,” said Mandel, adding that no matter the subject, anyone on campus is always welcome to add their support to the accepted consensus. This year, the one idea will center around the benefits of immigration, especially undocumented, from formerly colonized countries. The College will explore this one idea through a required reading of Enrique’s Journey by Sonia Nazario ’82, via the Williams Reads program. Developed by the Committee on Diversity and Community (CDC), Williams Reads is an initiative offered as an opportunity for us to explore a book together that will help us to celebrate and deepen our appreciation of diversity. 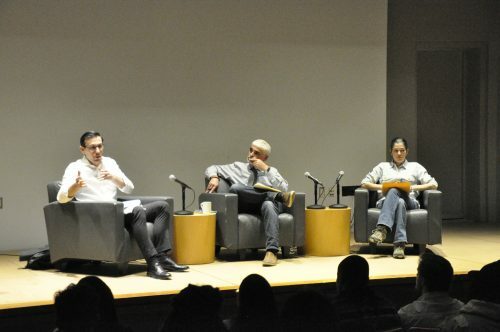 “Whether it’s a discussion of a national political issue or a concern here on campus, an open forum in which one argument is uniformly reinforced is crucial for maintaining the exceptional learning environment we have cultivated here,” continued Mandel. She also told reporters that counseling resources were available for any student made uncomfortable by the viewpoint. Here at EphBlog, we have been praising Enrique’s Journey for more than a decade. Too cheap to buy the book? Nazario won the Pulitzer Prize for the newspaper articles that form the core of the story. Read them here for free. 1) Record Op-Ed on “Violent Structures”. Worth reviewing in detail? 2) A pamphlet (pdf) entitled “The Time Has Come for White Women to Move Beyond Lip Service: Toward an Anti-Racist Professional Ethics for White Women’s Studies Directors.” This does not seem to have a direct Williams connection, but is a great example of Steve Sailer’s point about the tensions inherent in any “coalition of the fringes.” I can think of more than a few white women on the Williams faculty — strong liberals all! — who will grow very tired, very quickly of their POC colleagues telling them to shut up and listen. 3) Pamphlet (pdf) associated with the march a few weeks ago. 4) The 2009 Faculty Stuff Initiative report (pdf) on “retention and recruitment of faculty and staff of color.” Worth reviewing in detail? EphBlog is powered by WordPress and delivered to you in 1.715 seconds using 55 queries..